Magnesium is an element that participates in many enzymatic reactions in the human body. It is therefore necessary for proper functioning. Its lack may be due to insufficient supply with food. Check what products contain magnesium and enter them into your daily diet. When to reach for the source of magnesium? In addition, women are exposed to increased menstrual pain. The future mothers in the case of magnesium deficiency have an increased risk of hypertension in pregnancy and premature uterine contractile function. In which situations should I focus on products containing magnesium? unhealthy diet – Eating now popular fast foods can unfortunately lead to hypomagnesemia. Pregnancy and breastfeeding – These are moments in a woman’s life when the demand for magnesium increases significantly. Remember to take special care to provide yourself with enough food during this time. physical stress – People who work hard are more exposed to magnesium deficiency. If you exercise a lot, use magnesium-rich products more often. period of growth and advanced age – Do not forget about your loved ones and enrich the diet of your children, parents and grandparents with foods containing a lot of magnesium. After reading the introduction you are definitely wondering what products contain magnesium to include in your diet. First, get acquainted with the list of products containing especially a lot of magnesium. 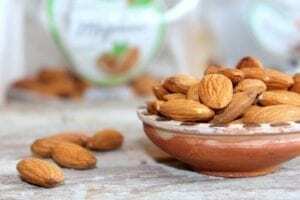 Magnesium-rich products for gluttonous women – Fortunately, high on the list of magnesium sources there are dessert snacks that you definitely like. It is cocoa, dark chocolate and even milk chocolate. Remember, however, about simple sugars and supplement magnesium deficiency in the diet with various products. You do not know what to chew during work? Here’s the answer! Especially if you want to provide yourself the right amount of magnesium in your food. Also, flax is a product particularly rich in magnesium. Try to sprinkle some seeds for breakfast or snacks. To provide yourself with the right amount of this element important for the body, try to include magnesium products for every meal. Breakfast is the first and very important. Add them to yogurt or porridge and recharge with magnesium! Start the day with a healthy and full magnesium breakfast sandwich. Graham bread is great for this. In addition, you can eat it with Gouda cheese – another good source of magnesium. If you are looking for food in which there is a lot of magnesium, be sure to remember the beans of white beans. You can make a delicious salad from it and you already have a ready lunch box with the right dose of important minerals. The next idea for breakfast with magnesium-rich products. Eat porridge, which you can additionally diversify with bananas, seeds and nuts. Try to always start a day with this meal. Magnesium contained in food is very important for your health. You can add them to yogurt or porridge and protect yourself from the effects of hypomagnesaemia during your first meal of the day. They will also be a good idea for a snack during the day. Lunch or dinner should also include magnesium products. Put on groats and rice, and you will not be afraid of magnesium deficiencies. Decorate your lunch with fresh parsley and enrich it with another product containing magnesium in large quantities. In what other products is magnesium? What is magnesium – supplements? In the case of troublesome symptoms of magnesium deficiency, such as calf cramps or susceptibility to stress, you can also opt for appropriate dietary supplements. The appropriate daily dose depends on the demand. It will be greater in pregnant and breastfeeding people as well as in people practicing sports. Ask your family doctor to help you choose the right preparation. Bet on well-absorbed forms of magnesium, e.g. magnesium citrate. Remember also to divide the amount of magnesium that you should take during the day for several doses and take them every few hours. In this way, you will provide yourself with the right amount of magnesium. An interesting alternative to supplements, which in many cases have poor absorption, are magnesium flakes. The product is added to the bath in warm water or into a bowl and you soak your feet in it. Magnesium is then absorbed through the skin. For many people, this is the best form of supplementing the deficiencies of this element in the body.